This is the first in a new series of posts about apps that kids are using, that parents should be aware of. And there are lots. Hope it helps. 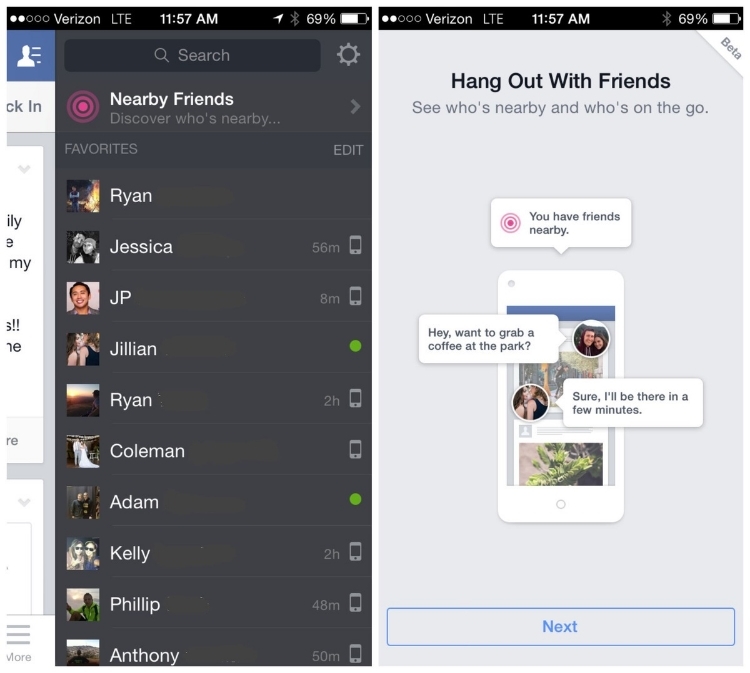 Last week brought the announcement the new Facebook Nearby Friends feature in the Facebook mobile app, which is a clear attempt to lure more teens back to Facebook. Especially considering it’s an age group that they’ve had trouble wooing and keeping in recent months. In short, Nearby Friends allows users to share their location with their Facebook friends with the goal of discovering in-person meet-ups–nothing new to those of you familiar with FourSquare, although now conveniently in Facebook’s mobile app. Now I wouldn’t panic about privacy just yet, since it’s currently an opt-in feature that you have to manually activate, and it doesn’t display your exact location to anyone. In fact, it’s surprisingly privacy conscious, considering all the ongoing privacy concerns users consistently have with Facebook. You can set specific parameters for who can be notified that you’re “nearby” (such as your list of Close Friends) and during any particular time frame, like Sunday afternoons but not after dinner. So here’s how it would work: Say you’re at a park on a weekend, and a Facebook friend of yours is walking past. If you’ve both activated Nearby Friends and you’re on each other’s specified list, a notification will pop up for both of you that a friend is nearby. You’ll have to message each other to work out the details, but Nearby Friends helped get you together. As much as I can see where it might be a helpful service for some users, as a parent of a tween, I’m already imagining all the ways in which Nearby Friends could be a big distraction, or even a source of hurt feelings. I can see a teen feeling left out when she gets a notification that her friends are all nearby on a Saturday night in the same place, and she hadn’t been invited. Also considering how easily distracted tweens and teens already are, especially with all their social network pings and dings, this is just another complication for trying to keep them on task, whether it’s homework, sports, or yeah, chores. But the biggest watch-out for me is that for those kids who are on Facebook, the bar for friendship isn’t generally very high. Heck, we’ve probably all got Facebook friends that we don’t really know very well, or we just friended because of a mutual friend who we sort of know. With this feature, it makes it easier for kids to share their whereabouts with acquaintances, or even strangers who they don’t know (and you don’t know) in real life. So while Nearby Friends is not quite on the level of Tinder or OKCupid as far as raising red flags for me, it’s definitely worth a strong look for parents. And of course, it’s an opportunity to discuss Internet safety concerns with your kids once again. 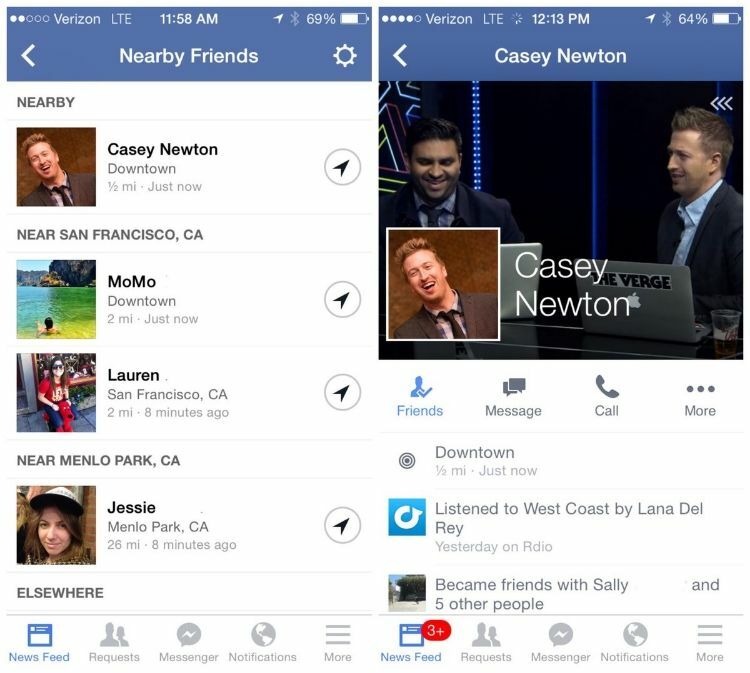 Nearby Friends can be manually activated on the Facebook mobile app. It’s currently available in US only.